Sometimes the holidays can be overwhelming. You may have a lot of cooking, baking, wrapping, shopping, and work to do before Christmas comes. It can be nice to have no fuss candy to make, either for guests, gifts, or yourself. I have started my own tradition of making Christmas treats for my family instead of buying the packaged candies. I love making candy and treats for others, so this year I wanted to do something I haven’t made for anyone: haystacks. Do you ever have those moments where you remember one thing from a long time ago and you just can’t get it out of your head? I had one of those a few days ago. I remembered this candy someone had made many years ago at my mom’s work, a bird nest. Well, for some reason I could not stop thinking about bird nest candies. This led to my current train of thought about haystacks. I’d never made them, but they were so easy I had to try. I love these. The butterscotch is perfect with the crunchy chow mein noodles. It seems like a weird combination, but it totally works. I will be making some chocolate ones for Christmas as well to go with the butterscotch ones. These are no bake, no fuss, and ready in about an hour. These are a perfect treat to surprise people with because it isn’t something I generally see at Christmas. It’s hard to call this a recipe because it’s so simple and requires only two ingredients. But, I will go through what I did. I know others add in peanut butter, marshmallows, and nuts, but I did not do that. I left these simple because I love them the way they are. I don’t think these need any additional ingredients, but feel free to add in whatever you’d like. 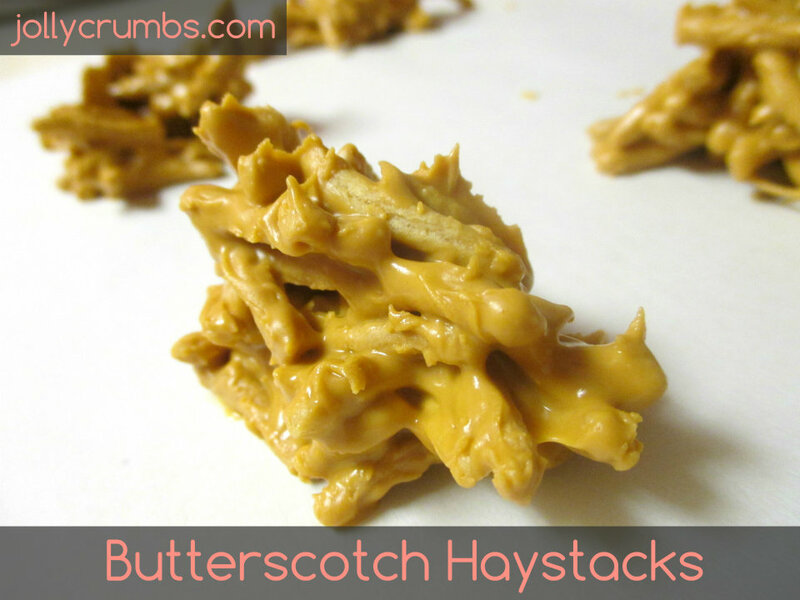 Start by melting the butterscotch chips in the microwave or double boiler. Don’t melt them until they are all melted. This will cause the butterscotch chips to actually become harder to stir and not smooth. You want to melt about 80% of the chips and then stir until the other chips melt. This will ensure your butterscotch is smooth and perfectly melted. Add in the chow mein noodles to the melted butterscotch. Make sure you stir the noodles until they are all evenly coated. Drop the candy by tablespoon onto wax or parchment paper. Let them set up for about an hour or until they firm to the touch. Well, that was easy. These are delicious little candies. Or cookies? I’m not sure what category they fit into, but they are yummy all the same. I am really excited to package these up and give them to my family. These are something a little more different and interesting than a chocolate chip cookie. 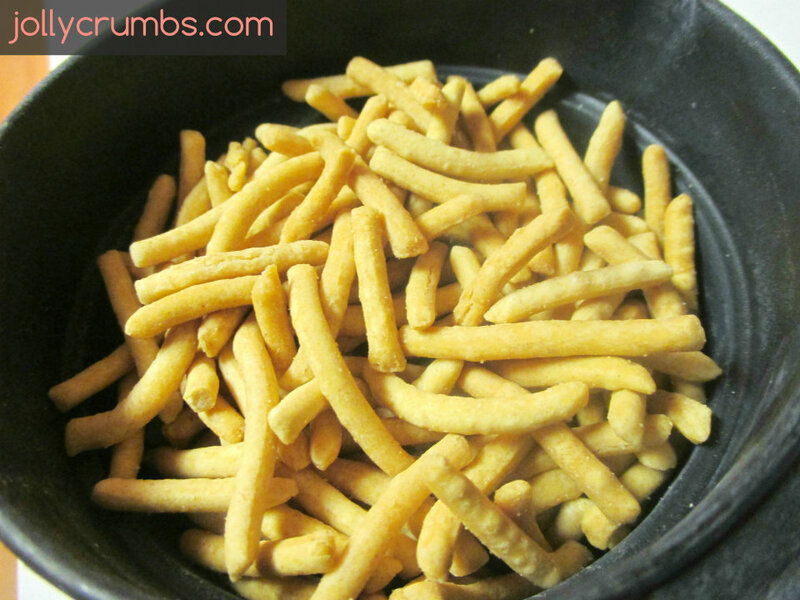 The sweetness and crunch of the noodles makes them a fun treat that is slightly addicting. Samuel doesn’t particularly like butterscotch, but he had one of these and seemed to like it. This is unfortunate for me because I’d love to eat them all on my own! 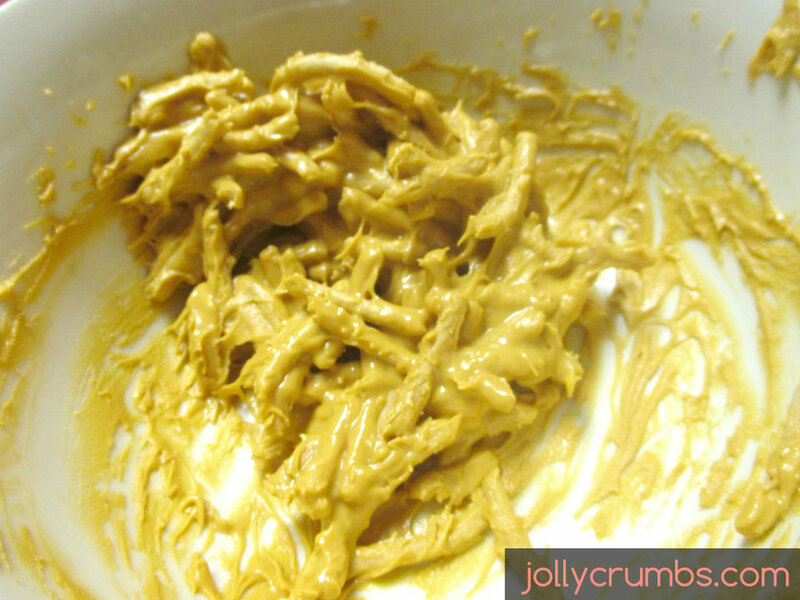 Melt butterscotch chips in the microwave or a double boiler until all the chips are just melted. Stir until the chips are completely smooth. Add in the chow mein noodles, and stir until they are all evenly coated. Place about a tablespoon-sized amount of the haystacks on to a surface or baking sheet covered with parchment paper or wax paper. Allow to set for about an hour, or until the butterscotch is dry to the touch. Enjoy! Store in containers or sealed baggies.